It may be the unofficial end of summer but we are not giving up the corn, tomatoes or basil just yet! Crispy on the outside yet smooth as butter on the inside, these scallops are the ultimate luxurious dinner. 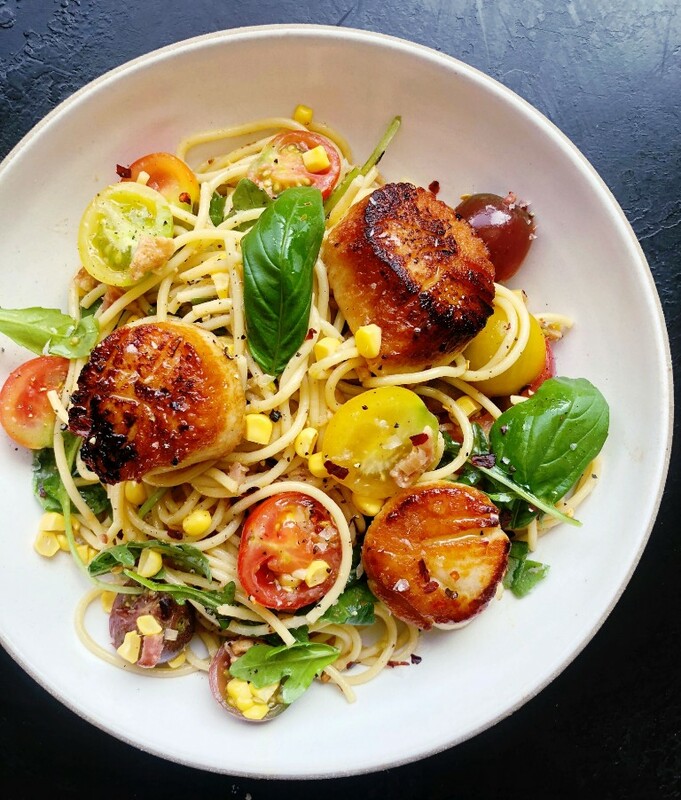 Served with a heaping bowl of noodles doused in a cozy corn-bacon vinaigrette, this scallop dinner is one for the books. 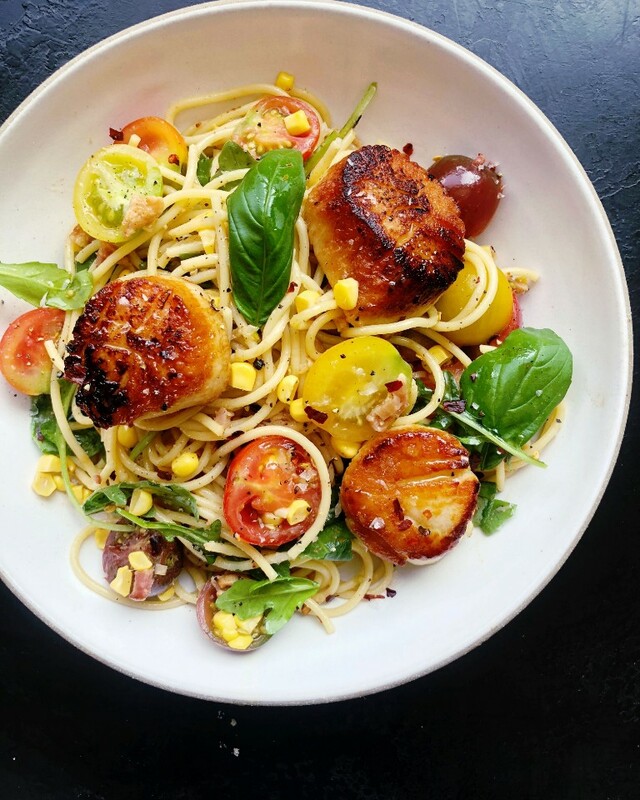 Feedfeed Tip It's all about the sear on scallops! Wondering the trick to the trade? Make sure you are starting with dry scallops! You can either blot them totally dry with a paper towel or tea towel, or leave them unwrapped in the fridge overnight. Check out more tips for making this easy but impressive recipe here. Now that is a salad! 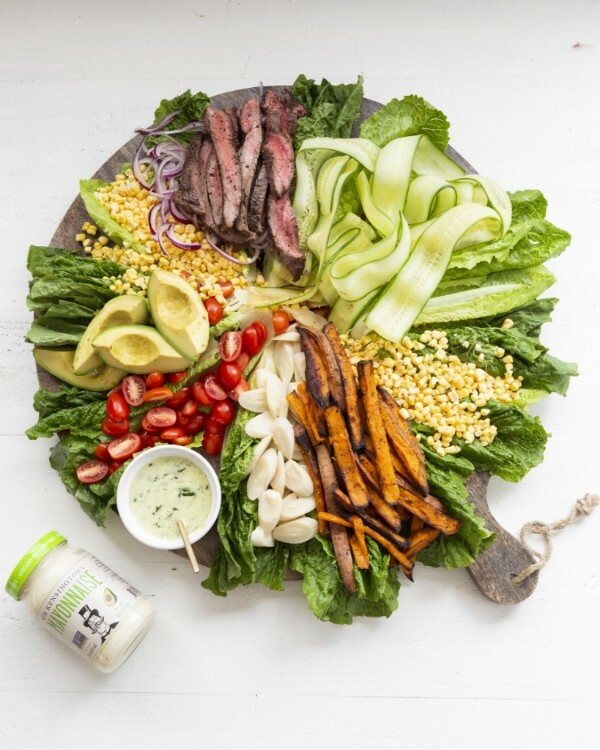 The herbaceous green goddess dressing really highlights all of the different flavors and textures included in the salad. Feedfeed Tip Be sure to cut your flank steak against the grain! Cutting it with the grain will result in a tough and chewy texture. Winner winner, crispy chicken thighs for dinner! 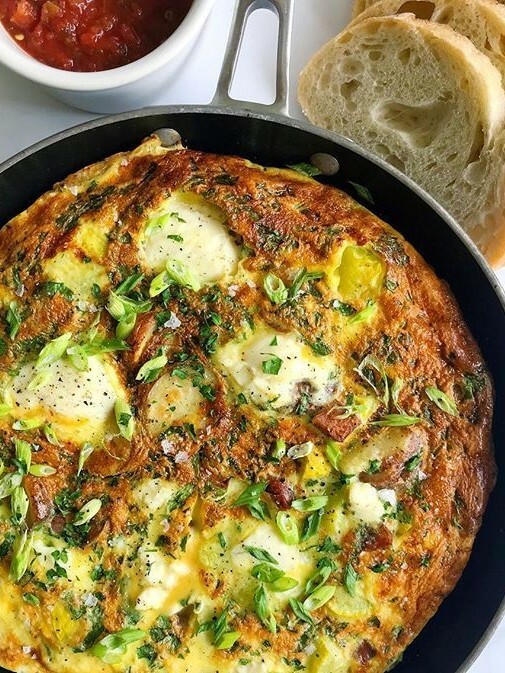 This recipe comes together in just minutes and most of the work takes place in one skillet in the oven! 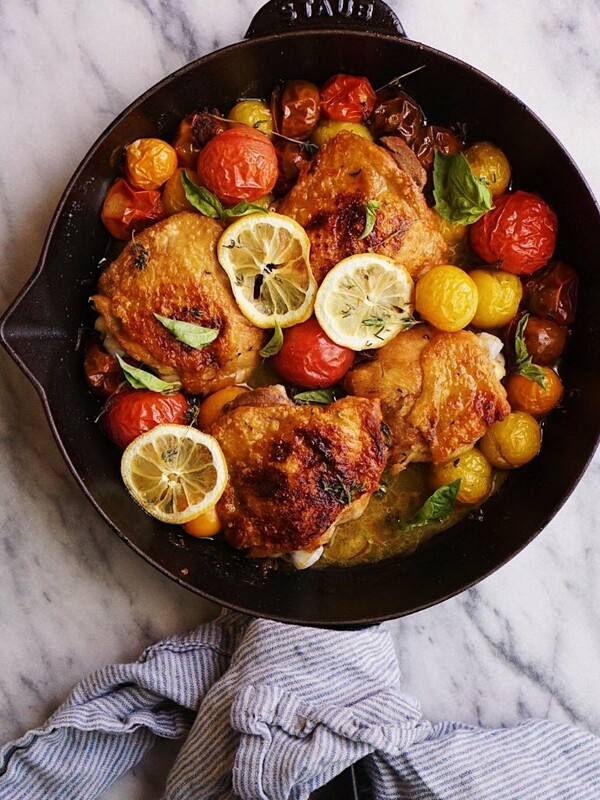 Feedfeed Tip There is nothing less appealing than rubbery chicken skin so be sure to crisp up the thighs before placing them into the oven. This is a go-to dinner that you can make with whatever veggies you might have on hand. 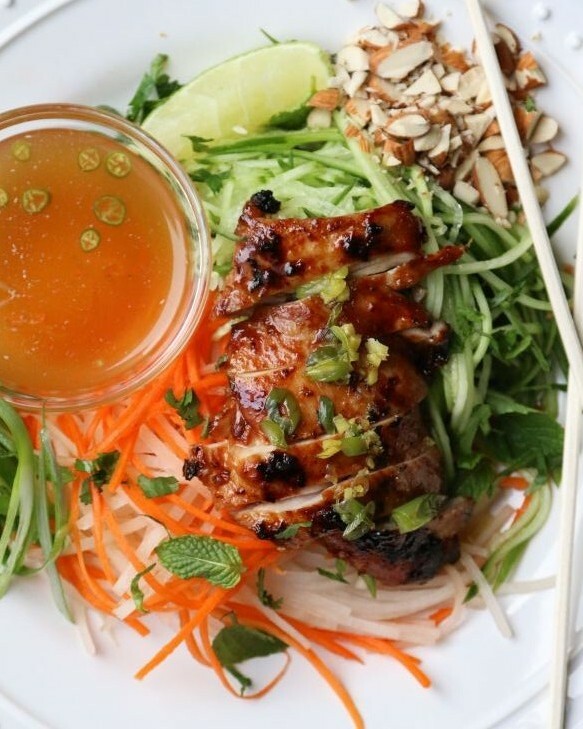 This refreshing salad is sweet, spicy & packed with umami flavor. If you'd prefer to go meatless, you can swap the chicken with tofu instead. We are sort of in love with one-pot pasta and we think you should be too. 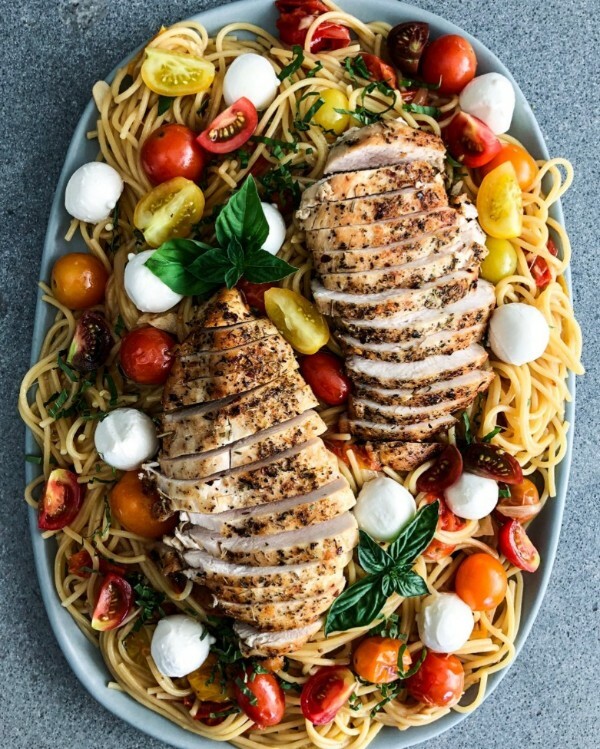 Feedfeed Tip We know breaking pasta is a big no-no, but it's essential for this recipe. Shorter strands of noodles will allow you to stir this pasta vigorously which will result in a risotto like consistency. 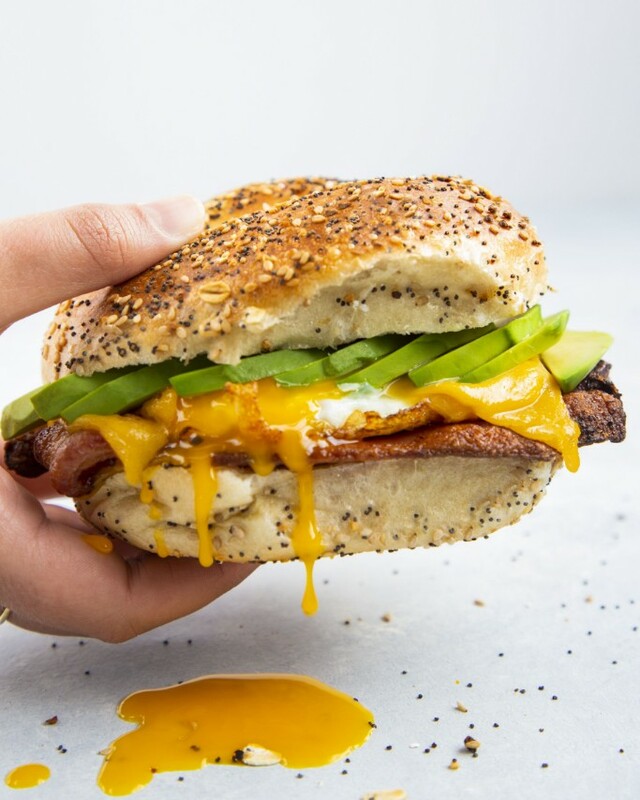 Weekends were pretty much made for egg sandwiches, right?